The art of homemaking is more than shining floors or ironed shirts, it is a way of life for many men and women. Beyond the daily chores routine, many homemakers teach children, volunteer their time, garden, or create a loving environment enriched by dutiful hands. Texas Homemaking seeks to encourage homemakers through crafts, useful tips, goal setting, organizing charts, daily deals, family issues, homeschooling, and more. If you’ve never read a Richard Halliburton book, it’s not too late to pick one up. 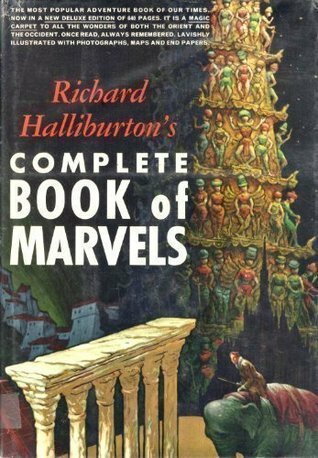 While mainly written for a younger audience, Halliburton’s Complete Book of Marvels is filled with his travels around the world in two mesmerizing parts: The Occident and The Orient. Writing and traveling during the 1930s, Halliburton scoured a world that is relatively unknown or unfamiliar to modern man today. While we can easily search his locations for images and videos, the peoples of the past are most certainly changed, and along with them, the cities and customs of the time. Our family uses Halliburton's adventures and explorations as a geographical and historical resource to glean more into our world's sites and historical past. Included in The Orient section, Halliburton has a wonderful account of the ancient wonders of the world and not only depicts his present day travels through the lands, but includes a conceptual voyage of an ancient Grecian and his son. This morning, as I read the chapter about Halliburton’s visit to Baghdad, I caught myself pausing as tears welled knowing that Halliburton had seen and experienced a place whose essence is almost completely lost. Ravaged by modern war with antiquities destroyed, Baghdad is but a shade of its former self. In his own words, Halliburton describes his Baghdad as a scene straight out of Arabian Nights filled with merchant shops selling Persian carpets and silks, caravans of camels and donkeys parading through the streets, glittering minarets glistening in the sun, and more. It is when the reader comes to this line that he knows all too well, Halliburton’s Baghdad is lost: “The ways of the western world may some day destroy the romance of Baghdad. But that unhappy day has not yet come.” It as if Halliburton is a prophet speaking words into truth. As a child, I watched the constant shelling of Baghdad on the nightly news. As an adult, I had the unfortunate chance to watch it all again. I remember reading articles describing the looting and destruction from the National Museum of Antiquities in Baghdad during the siege in the early 2000s. The museum held the tablets with Hammurabi’s Code and cuneiform texts that are the oldest known examples of writing—epic poems, mathematical treatises, historical accounts. Eighty percent of the collection were stolen or destroyed. In Halliburton’s story, he flies the young Prince Ghazi, King Feisal’s son, over Baghdad and to the ancient city of Babylon. I imagine today, the landscape looks very different. I assume, progress and technology has increased the volume of the city and given it a more modern look than in the 1930s, but I also know it to be war marked, like the ancient ziggurat in Ur filled with shrapnel holes. Today, cultural heritage sites and historical documents are being destroyed at a rapid rate by those who would erase history: the cities of Nimrud and Hatra, the tomb of Jonah, 113,000 irreplaceable manuscripts burned at the library of Mosul, among many others. It saddens me to know that my children and I will never know the beautiful glittering city of Baghdad from Halliburton’s day. I can only guess at how many other locations brought to life in the Book of Marvels will be gone before our time is over. One of my sweet friends recently shared an amazing recipe with me - The Crockin' Girls Slow Cookin' Companion's Peanut Clusters. These clusters were incredibly tasty and hearkened back to my childhood days of eating Girl Scout Tagalongs, albeit, I think these might be a bit healthier. I didn't share one bit of these delectable morsels with my family. I basically snarled, "Back off, these are mine!" Once I had this Holy Grail of recipes in my hands, I set off to my newest favorite grocery store - Aldi. If you haven't been there yet, it should be a definite to do for the holidays (just note, it does get busy from time to time). Aside from having wonderful cheeses, gourmet meats, olives, and chocolates, the store also carries a variety of goods and staples that I have found to be great quality for less money. There are countless blogs dedicated to shopping at Aldi, so I won't bore you with the details, but I have added a link to my Aldi Pinterest Board if you'd like more information. I was on a mission to save extra money this month from groceries and Aldi definitely helped. My husband and I shaved $150 off our grocery budget and we ended up purchasing more food for less. I'm not sure how that happened, but I chalk it up to an Aldi miracle. The Chocolate Peanut Clusters recipe has a few pricier ingredients than your average chocolate chip cookie, but I knew Aldi would be a great place to get my creative and cheap cooking (well, in this case, super easy cooking) started. This recipe made an amazing amount of clusters - plenty for me and to share with friends and family! And, I didn't have to deal with all the holiday shoppers at Wal-Mart! Use a slow-cooker liner to keep the mess to a minimum. Pour the peanuts into the cooker and mix well. 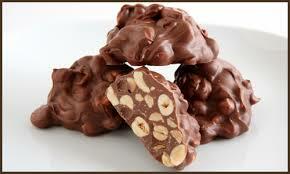 Place all of the chocolate on top of the peanuts. Cover and cook on low for 3 hours. After that time, remove lid and blend all the ingredients well. Scoop out even portions of the mixture onto wax or baking paper. Cool until the chocolate has hardened. This will make several dozen clusters depending on your cluster sizes. Not only of the illustrations colorful in this futuristic tale, but the written words conjure the imagination to create its own images: pigeons in pearls, melting candy bar men, trees made of embers filled with dragonfly birds, and more. Sanchez, also a singer/songwriter, does a great job at captivating the reader's attention with his colorful phrases converted from his original song, "A Friend to Enemies." 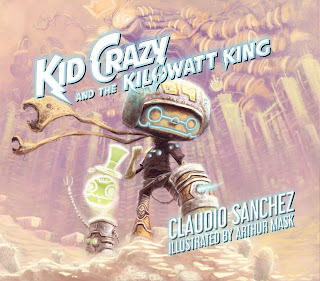 Kid Crazy and the Kilowatt King is available from Indie Bound and on Amazon. Claudio Sanchez (author) is the front man for the conceptual rock band Coheed and Cambria, with over 3 million albums sold worldwide. He is also the creator of several comic books, including The New York Times best-selling series The Amory Wars. inspire him: from horror movies and music to retro video games. His mother says his first drawing was of a mosquito, but now he prefers to draw monsters. He lives in Sao Paolo, Brazil. I'm often asked this four word question, "Why do you homeschool?" And, it is delivered in a variety of tones with hidden meanings. Sometimes, I get the defiant, sneering tone of those who think homeschooling was an idea spawned from the devil; other times, I receive the question packaged in a truly caring tone filled with a want to understand my (and my husband's) rational behind such a life-changing decision. [To see what those tones sound like out loud, simply place emphasis on only one word in the sentence each time you say it. In the past, I've given various answers while trying not to offend those who might think I homeschool because I'm in the upper echelons of the class system (which, by the way, I'm not). 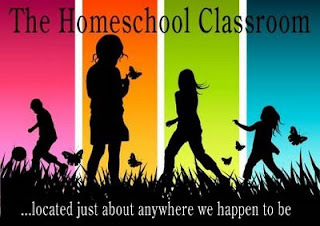 You would be surprised at some of the reactions I've received when asked about homeschooling. (More positive than negative, but still!) "I wish I could homeschool, but I don't make enough money," or "I would homeschool, but I don't have the _______." Fill in the blank - time, patience, knowledge - you name it, I've heard it! And, to be fair, I think everyone is entitled to their own education philosophy whether they homeschool or have their children attend brick and mortar schools like public, private, charter, etc. Every family can and should decide what is best for their particular situation and educational needs. The same applies to the financial implications surrounding homeschooling. We live off of one income with me occasionally moonlighting at our local children's theatre. I had a few other reasons, too, but once I spewed all of that out, I sounded like an overachiever prognosticating homeschooling's effect on families and I often worried if I had upset someone with their personal choices for educating their children. I definitely didn't want either of those two things taking place. I just really loved my choice. A few years ago, I really simplified my answer and it made things so much easier. So, why do I homeschool? I want to spend my years enjoying my children while they are young. I want to train them up to be great men whom achieve their passions in this life. I want them to be gentlemen whose name and manners proceed them when meeting new people. I want them to be well educated in an often uneducated world. And, I see homeschooling them as a means to this end. I truly homeschool my boys for a myriad of reasons, but the most important to me, and the one that I share most often, is the simple truth - I homeschool because my time with them is numbered and I love the time the time we get to spend together. Homeschooling - Yes, You Can! For all of you homeschool pros, why do you homeschool? Words are a sacred expression to me - spoken or written, it does not matter. Every year, I strive to find a word or phrase to help guide me through my accomplishments, whims, insurmountable challenges, moments of fortitude, and so on. Simply put - my life. 2015 heralded in my first phrase - living life out loud - which meant living life to it's fullest in all aspects. From the amazing traveling we did to the newest made friends, I feel certain I met my standard. 2015 was definite full of ups and downs, as is every year, but I did open new doors while letting old ones close, some tighter than others. I tried my best to find new outlets for my creativity and passion to serve. I look forward to seeing how I can grow in these new areas. Thinking about 2016, I am continuously wandering to one of my favorite U.S. Presidents - Theodore Roosevelt. It could be the need of such an individual for our country and the constant bombardment of election fodder constantly gracing my screen, but I truly believe there is more to it. Aside from being an incredible leader, Teddy knew about passions in a man's heart and fulfillment of the soul - he was a humanist. My word for 2016 is grounded. Merriam - Webster defines grounded as a person who is sensible and has a good understanding of what is really important in life. Roosevelt believed being grounded gave the individual a better understanding of how to reach his goals. Teddy knew that for a person to be successful, he or she had to first be admirably sensible, realistic, and unpretentious. 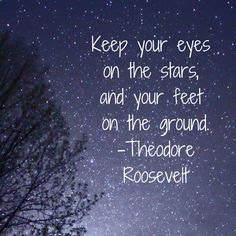 In 2016, I hope to always have Roosevelt's quote, "Keep your eyes on the stars, and your feet on the ground," running through my unconsciousness. I want to take this year at a slower pace and make time for those moments I cannot relive. I want to make the best choices at what to fill our lives with and make the most out of my family's time. I want to work towards maintaining a better discipline in this realm and proceed through 2016 in a manner that makes me smile everyday. In addition to all of this, I want to make sure I read over Roosevelt's speech below on an occasional basis and remind myself that his words indeed ring true. So, here's to 2016 and whatever word you choose to represent this next year on your journey through life. May your word herald in the changes and hopes you seek. Looking for great gifts to round out your holiday shopping? You've come to the right place! This year, I've put together a hodge-podge list of interesting Christmas presents for children and adults that you can purchase or make over the next couple of weeks. So, grab a cup of hot cocoa, warm your feet by the fire, and take a gander at some of my holiday picks! 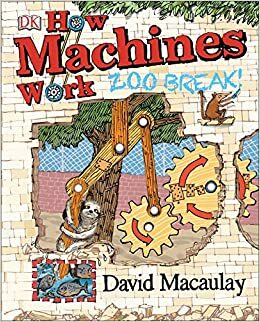 If you’re looking for a great book to purchase your child this season, make sure you add DK’s How Machines Work: Zoo Break by David Macaulay to your shopping list! This is without a doubt one of the best books on the market for children interested in learning all about basic machines like planes, levers, the wheel and axle, the pulley, and screw. What makes this book simply amazing is the context in which these advanced science ideas are explained in such a way that even the earliest learner can appreciate how these machines work. Along with learning, readers are engaged in a hands-on story about a sloth and mouse who work together using simple machines to escape from the zoo. Chalk full of detailed drawings that help explain physic concepts, the book also features a three dimensional lever in the form of a see-saw to help the main characters soar across their paddock fence. This happened to be one of the best ways I’ve ever seen demonstrating levers inside of a book – kudos to the author for his creativity! The story line is well written and engages young readers from the start. My youngest absolutely fell in love with this book and we’ve now read it several times. He was extremely interested from the moment he picked up the book and there was a pulley system he could engage on the front cover – I can’t wait to purchase this for some of his buddies. They will think it is the coolest book ever! In addition to a great read filled with a plethora of information, it also includes a lovely glossary for parents and children to defer to when needed. There is also a table of contents which allows for quick searching regarding a specific topic. Aside for this book, David Macaulay has penned wonderful titles in the past that our family has thoroughly enjoyed, such as: Castle, City, Pyramid, Cathedral, The Way Things Work, and more. Macaulay has won numerous awards as a writer, including the Caldecott Medal, the Horn Book Award and the MacArthur Fellows Program award. How Machines Work: Zoo Break is available to purchase at Amazon. Casey and her friend, Tillus, are at it again, but this time Christmas on the farm is in jeopardy. Casey has been too busy to finish all her farm chores and decorate for the holidays. What's even worse is that she caught a cold and can't finish everything on her list. In a loving tale of friendship during the Christmas season, Tillus and the farm implements work together to create a special Christmas surprise for Casey. The gang decorate the tree, wrap bales of hay, and even make festive cookies in order to put a smile on Casey's face. 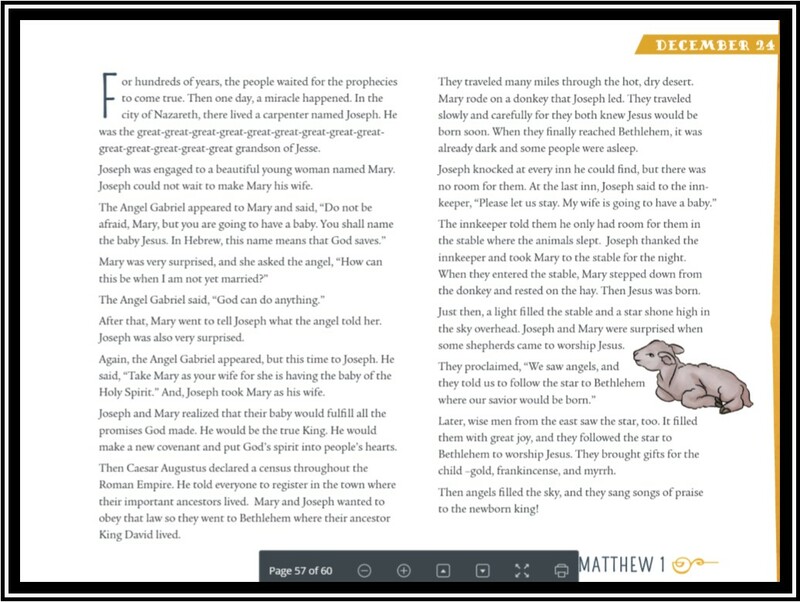 Young children will love to hear this Christmas story read aloud to them this year. In addition, the author included a yummy frosted sugar cookie recipe in the back of the book you can bake with your little ones. If you enjoy the Casey series, be sure to check out a previous review on the first book of the series! Casey's Bright Red Christmas is available to purchase at Amazon. 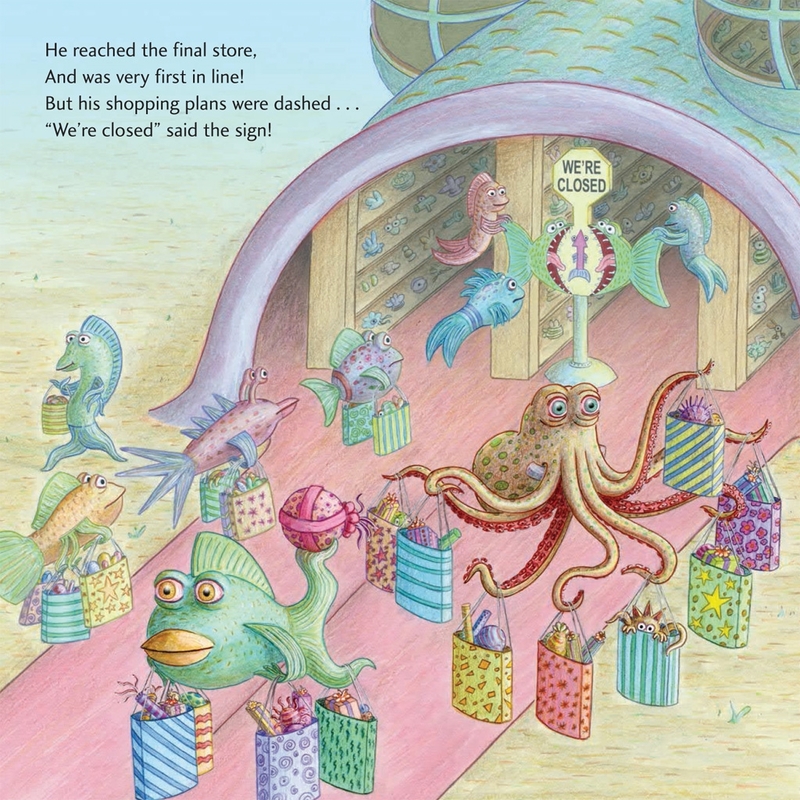 If you're a fan of the Pout-Pout Fish stories, then you are going to want to add The Not Very Merry Pout-Pout Fish to your collection! Mr. Fish is on a quest to find the perfect presents for all his friends: For a gift should be big, and a gift should be bright, and a gift should be perfect - guaranteed to bring delight. And a gift should have meaning plus a bit of bling-zing, so I'll shop til I drop for each just-right thing. Young readers will enjoy following Mr. Fish through all the unique sea stores and the whimsical illustrations that fill each page. As the story progress, Mr. Fish finds he is unable to find the right gift and becomes upset. However, Miss Shimmer reminds Mr. Fish that the best gifts of all come straight from the heart. I love that this story relays to children that gifts made by them for others have meaning and are just as thoughtful as store bought gifts. The Not Very Merry Pout-Pout Fish can be purchased at Amazon. As I'm sure you've noticed, Star Wars is all the rage this season! I was searching through blogs the other day for a great gift idea and came across the Star Wars Play Dough Kit created by Jen of Momma.Pappa.Bubba and fell in love with how adorable this little play set was and that its creator even shared all her homemade dough recipes! Props to one of the cutest things I've seen all year!!! If you've got a massive Star Wars fan at home, be sure to add this to their Christmas list! Super Hero and Princess Forts are always a lot of fun to make and can be easily customized for each child. 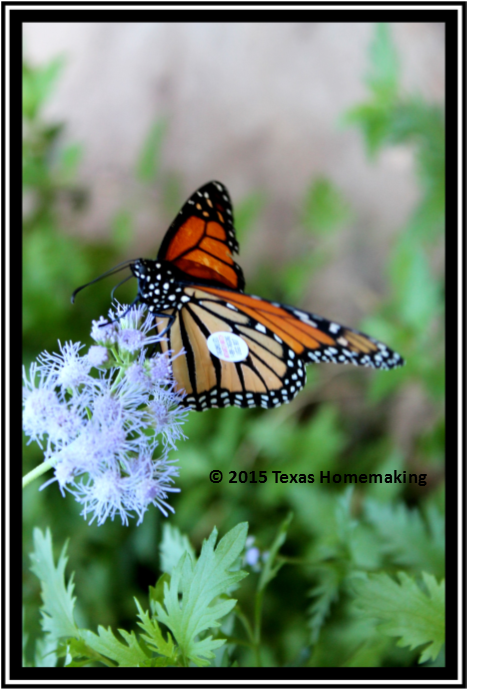 I made these in the past and featured them here on Texas Homemaking. Needless to say, the children who received these loved them! Want to get fancy? Add a monogram to the bag holding all the essential fort materials! This is one of my most favorite gifts to give! The boys and I love picking out all the artisan root beers! 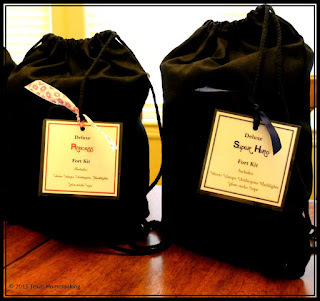 I make a crate filled with our selection and then add gourmet popcorn and chocolates, tasting cups, a custom made tasting score card for each family member and a few other treats. 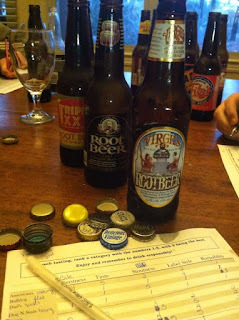 This is a very easy, but creative gift and the root beer aficionados in your life will love it! If you haven't been introduced to Gold Canyon candles, well let me be the first to tell you that I not only adore them, but I'm also a Junior Team Leader for the company. Gold Canyon's product line includes not only candles in over 80 scents, but also self timed warmers, scent pods, fire starters, candle care implements, volights, tea lights, and more! Visit my personal website to peruse the catalog and get your orders places asap to insure Christmas delivery! 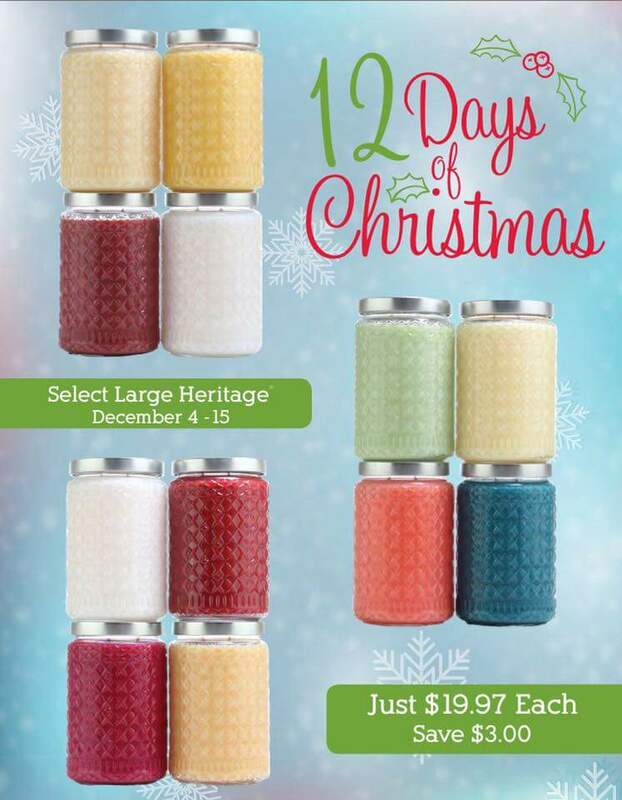 We also have a great sale going on right now until December 15th on our large Heritage candles! Be sure to check out all of our great products and specials! 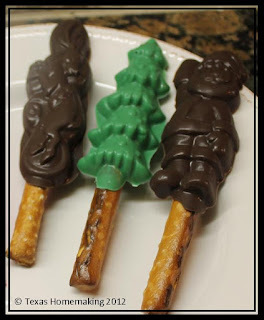 These tasty treats have been a long standing hit in our home! The boys love making these with me and they are incredibly easy to put together - which is even better during this busy season of festivities! 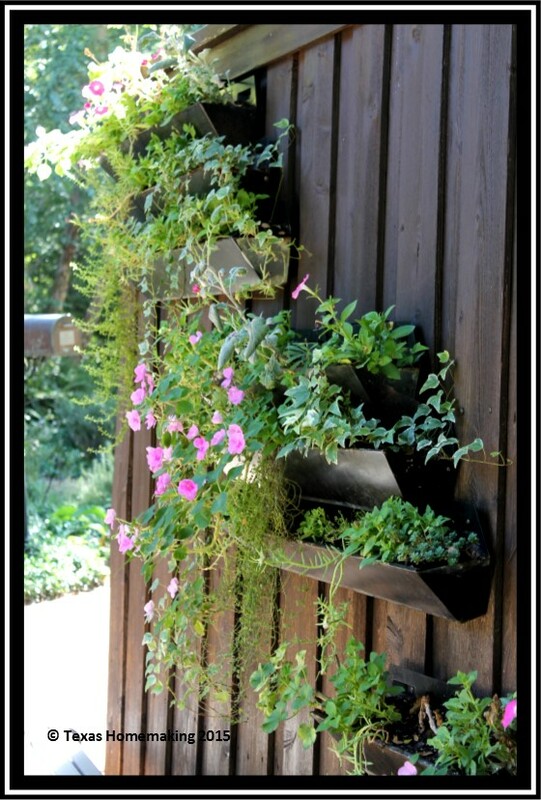 Here's the link on how to make these with your children! Don't forget the furriest of friends this Christmas! Texas Homemaking has a great recipe for dog biscuits featuring ingredients found in your kitchen. My youngest son enjoyed making these with me and they were very easy to create. Don't you just love the Texas cookie cutter? These treats have been dog tested and approved! Enjoy your browsing! Merry Christmas to you and your family! Every year at Christmas, the boys and I celebrate Advent through a variety of ways. 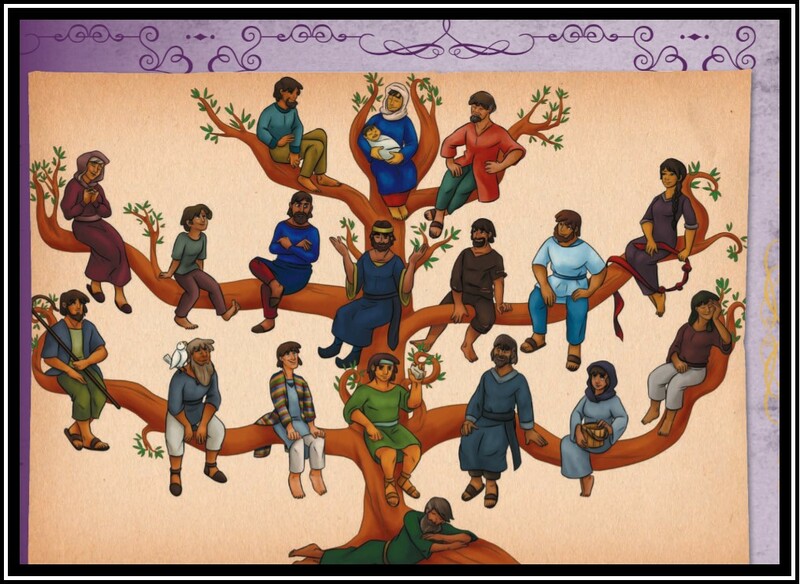 This year, we were wanting to incorporate the Jesse Tree into our Christmas tradition as a way to celebrate the birth of Jesus. 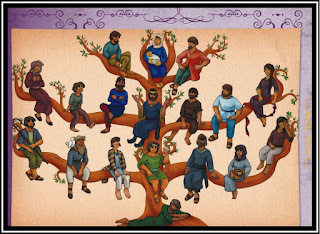 For those unfamiliar with the Jesse Tree, it is a depiction of Christ’s ancestors and begins with Jesse of Bethlehem, the father of King David and is a representational family tree. 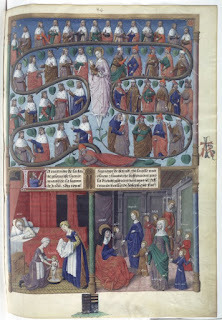 Its origins are found in a passage of the Book of Isaiah, "And there shall come forth a rod out of the stem of Jesse, and a Branch shall grow out of his roots." 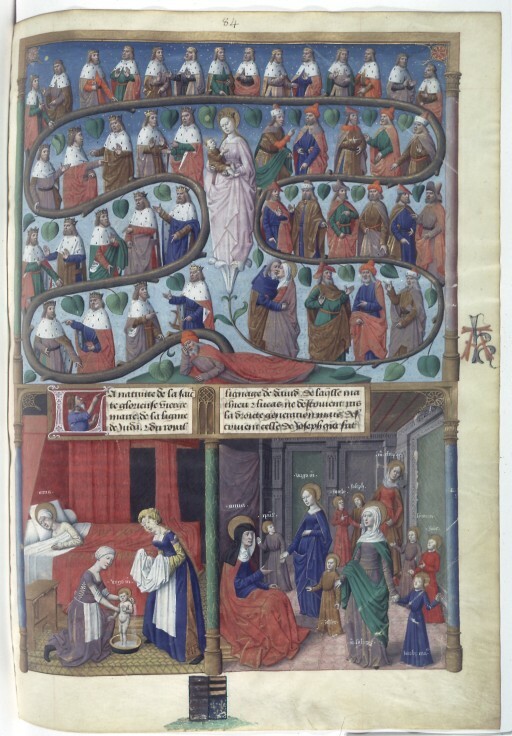 Here is an artistic depiction of a Jesse Tree created in 1485 by Jacques de Besancon of Paris. It depicts 43 generations. While beautiful, our tradition would need a more modern Jesse Tree. 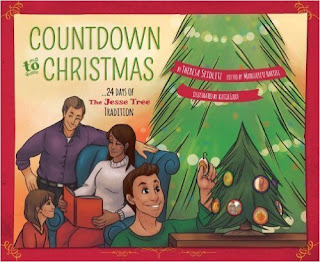 Countdown to Christmas: 24 Days of The Jesse Tree Tradition written by Theresa Seidlitz and illustrated by Katia Lara helps recreate the Jesse Tree for children and families who would like to incorporate this idea into their Christmas celebrations. The author, Theresa Seidlitz wrote this book when she was ten years old in hopes to share their family tradition with others. Each night, before they began a new story about Jesus’ ancestors, her family would sing “O Come, O Come Emmanuel” together. In the book Countdown to Christmas: 24 Days of The Jesse Tree Tradition, the author has included the words to this cherished song. Everything you need to start your own Jesse Tree tradition are included, save the string and something to hang your ornaments with. The paper ornaments have already been hole punched for ease of hanging. 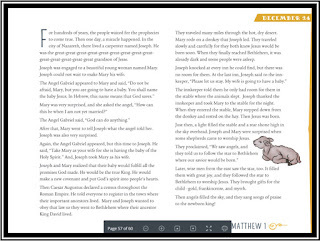 Best of all, this is a children’s book written by a child, which helps to soften some of the harder parts of the Bible for young readers. Be sure to order your copy before December 1st and start a new tradition this year with your family! Yesterday was beyond tragic. Yesterday, all the feelings of 9/11 resurfaced and in a moment I felt the stomach lurching panic, the overwhelming sorrow, and the subduing fear that cascaded down upon me in my twenty-first year. Yesterday reminded me of the wickedness that seethes within man and the violence which we are capable of. Hot tears of sorrow welled within my eyes at the memories and emotions that overrode my senses. My empathetic nature ached with knowing those in France suffered the same pain Americans did in 2001. Je suis Paris. Yet today, while perusing Facebook, I saw images of friends and family covered with the French flag. A sign of solidarity in the face of the abhorrent actions of terrorists. I felt a kindred spirit of love, liberty, and understanding. Nearly every profile picture had been changed and shared a oneness of compassion. In 2001, we were all Americans. 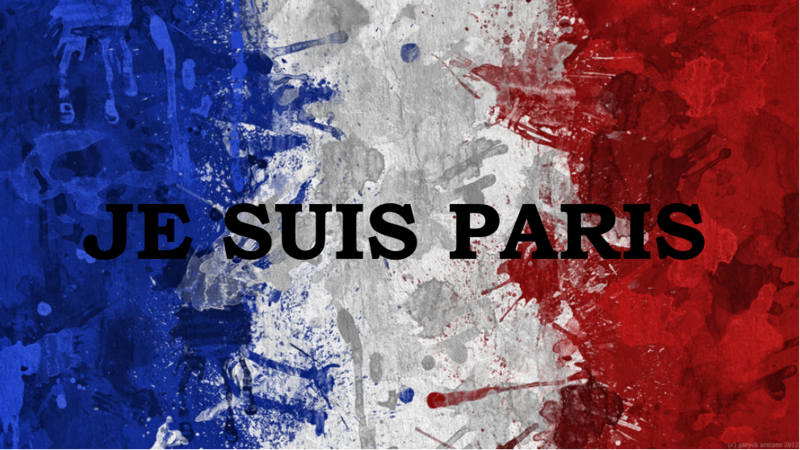 In 2015, we are all French. We are all together in this fight against evil. There is hope. We can stop this. Now is the time to call upon our world leaders and to have them end this wickedness before it can no longer be contained. We should not live in fear. Our world reels with violence; our communities overflow with it. At a local level, we can all be helpful to each other, keep a watchful eye upon our neighborhoods and report crimes, and volunteer more in our cities to make them better places for our children to grow up in. 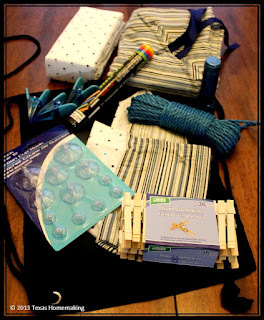 Here is a throw back post from an activity I did for Dandelion Moms a few years ago. 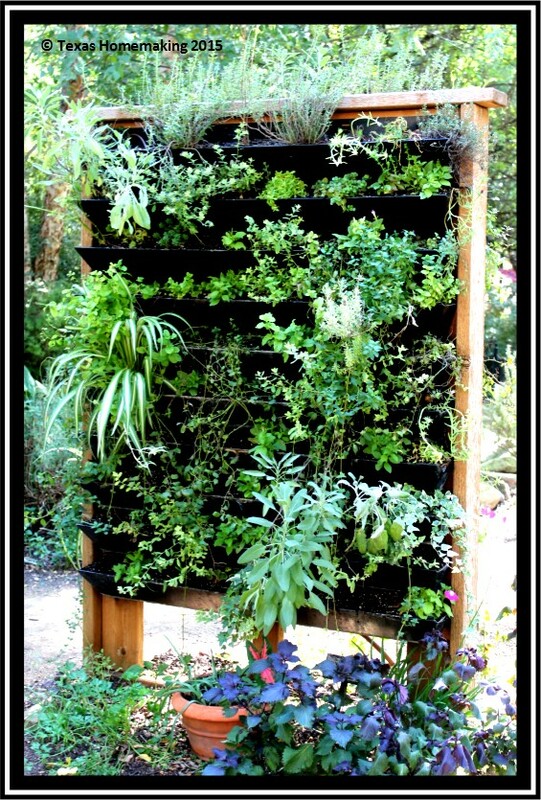 It has made the rounds and has garnered 29 thousand plus pins on Pinterest! I hope you enjoy it as much as the rest of the internet has! Owls can be wise, all-knowing, and even whimsical. This autumn, owls seem to be all the rage in fashion, art and décor. Here is a delightful Mommy & Me craft to create with your young children this season. Various styles and sizes of paintbrushes. A nearby sink to rinse small painted hands. 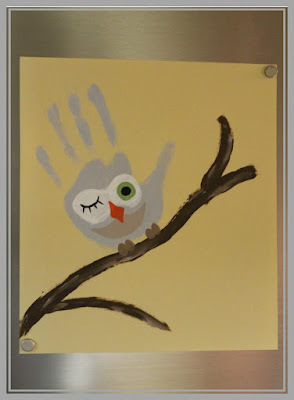 After selecting your color choice for the owl body, gently paint your child’s palm. Once the palm is painted, place the palm down on the paper to create a handprint. Lift your child’s hand gently and rinse off the paint. With your child, select the different features and the colors you both will use to create your owl art. Add eyes, a beak, talons, and other details to your owl. Create a tree limb for it to rest upon. You can add more than one owl or tree to your creation. Imagination counts! Hint: When layering paint for eyes or body coloring, ensure the bottom layer of paint has properly dried to avoid smudges or smears. 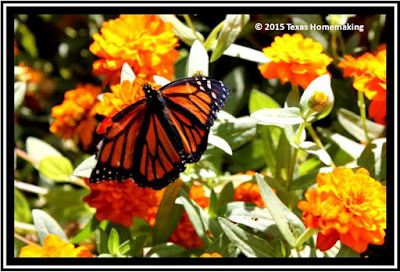 Tucked away on a quiet street in the bustling city of Grapevine, Texas, shoppers and visitors alike can escape to a serene plot of green space frothed with flora and fauna. Our family recently visited this boutique botanical garden and thoroughly enjoyed our time away from the normalcy of Dallas. 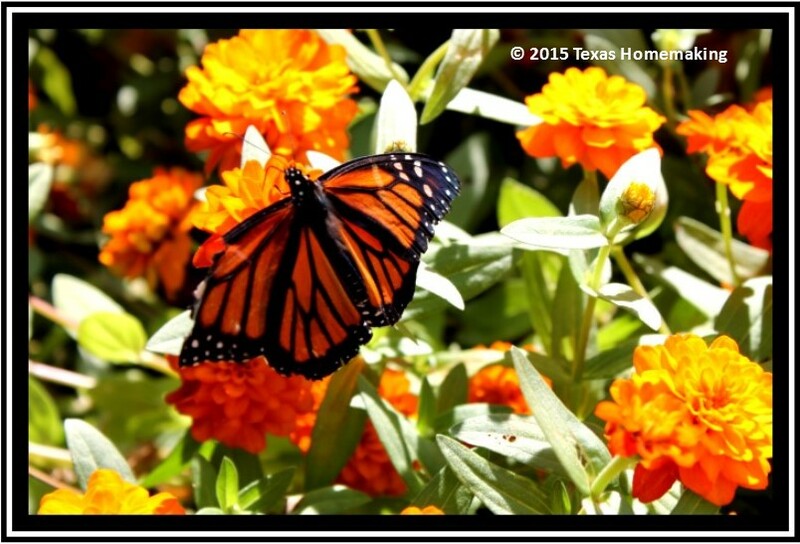 Upon entry, we were promptly greeted by migrating monarchs in the butterfly sanctuary. Gathering in bunches, they performed varied acrobatics on their way to each new flower. Quite a few of these charming beauties were tagged with tracking stickers for the great migration count at Monarch Watch. 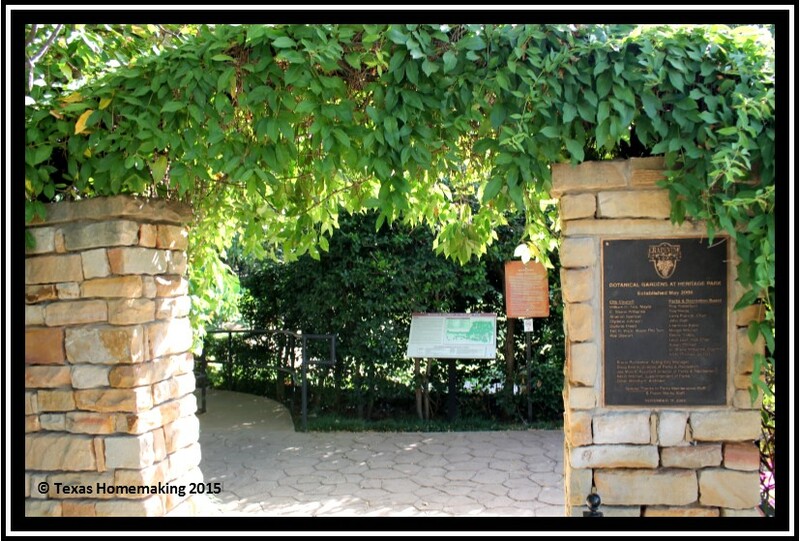 Beyond the butterflies, the Grapevine Botanical Garden offers streams, woodland bridges, ponds and learning alcoves. 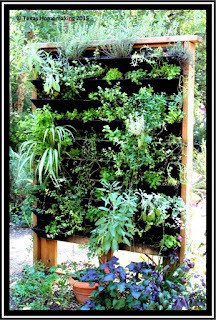 In one such alcove, vertical gardening was prominently featured and reminded me of the lovely vertical displays in Parkland Gardens I visited in Brisbane, Australia. 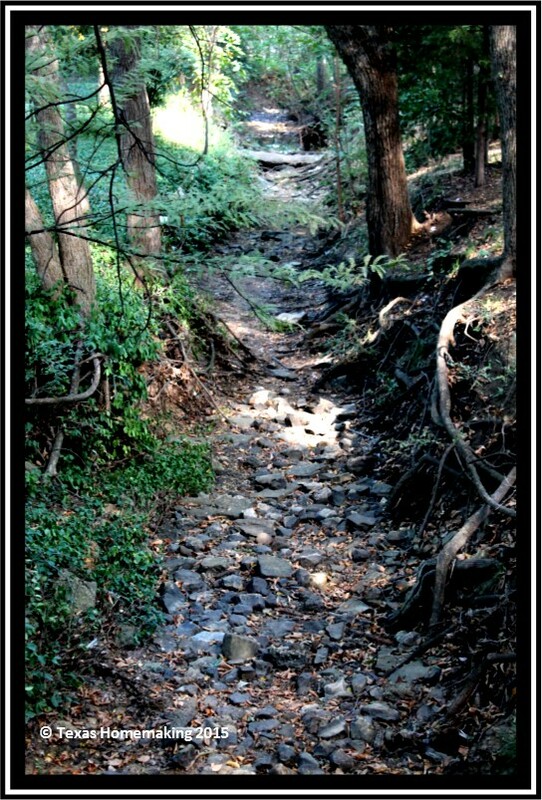 As we crossed one water garden, a flicker of orange and gold caught my eye. 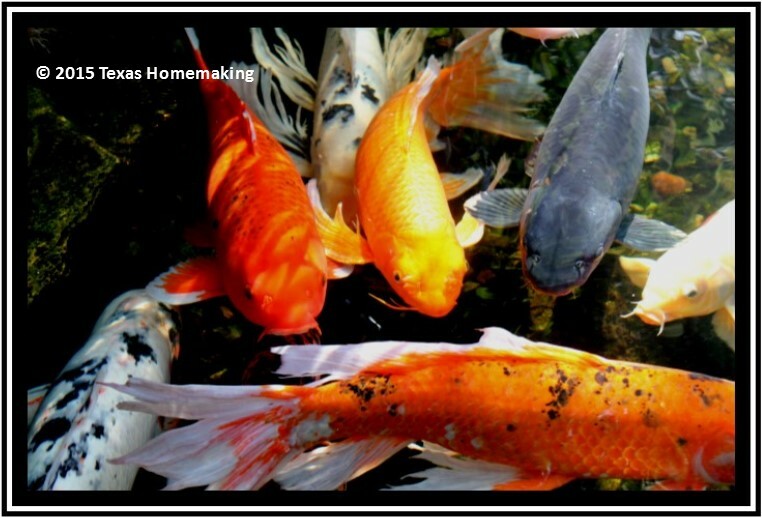 The discovery of a gorgeous koi pond put a smile on my lips. 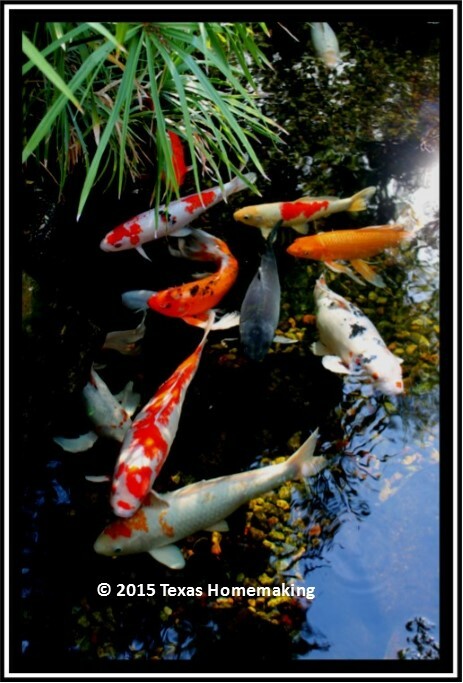 I watched each fish delicately glide through the water skirting the lily pads as they went. I could have stayed for hours caught in their mesmerizing movements. The garden also offers visitors a lovely stroll in an open park-lawn setting with a picturesque water feature, as well as a gazebo and stage. Weary legs can find ample sitting areas throughout the gardens, too. The next time you're in the Grapevine area visiting Lego Discovery Center or shopping at Grapevine Mills, be sure to take time out of your day and enjoy the serenity of the gardens at Heritage Park. Hello and welcome to my blog! I'm Michelle Norris and I'm a busy stay-at-home-educator whom vounteers for several organizations, as well as at church. I'm currently working on composing my first book while keeping my household running, and writing a blog all at the same time. My husband, Jake, is overly supportive in all my endeavors. He's even taken an interest in some of my new found hobbies. We have two smashing boys whom keep life absolutely interesting. We've also traveled quite a bit over the past eight years, and are delighted to have settled in a lovely Texas community. 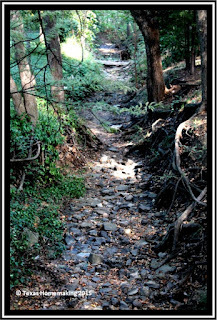 This blog is copyrighted by Michelle Norris 2012. Simple theme. Powered by Blogger.